The decision between getting a MacBook or a MacBook Pro can be summed up by the headline of this paragraph. The MacBook Pro is for the prosumer and the MacBook is for the consumer. The definitions of both terms, as well as the right notebook computer for you, gets slightly mixed up with the introduction of the 13 inch MacBook Pro. To clear up confusion from the beginning, the 13 inch MacBook Pro isn’t really a prosumer’s computer for one big reason — it doesn’t have a dedicated graphics card. You may think that a slight issue, and only for those folks who’re using their Mac to edit photos and maybe do some video work. With new features being added to Snow Leopard’s Grand Central program, soon many lab software applications as well as other processor intensive applications will be able to shift all the hard number crunching to the graphics card. If you’d like a layman’s comparison of the difference, then think of the difference in access speeds between data being run off of RAM or data being read off a hard drive. The difference is phenomenal. The difference in the screen sizes is one of the first things that people notice when they see a MacBook, which is all of 13 inches lined right next to a 15 or the mammoth 17 inch MacBook Pro. It is the big screen that makes the MacBook Pro line the portable for the professional. With a screen this size, not only can you see more of the pictures as well as the video reel that you’re editing but you will also be able to get a lot of multi-tasking done. The other thing of course is the thickness of the computers as well as the palpable difference in the materials used to construct the two notebook families. While these notebooks are great at what they do and even though Apple is known for the detail as well as precision that it brings to the manufacturing process, there is a definite difference between unibody aluminum and polycarbonate plastic. The other plus that favors the MacBook Pro is that the speakers on the pro are louder, clearer and distinctively bigger than anything that the MacBook has to offer. So a 15 inch MacBook Pro it is? Sure. If you’ve got that kind of cash. Remember we are only talking about power versus mobility here and no one ever said anything about affordable power! So if you are a casual content creator a MacBook or the 13 inch MacBook Pro would be great for you. If you use your computer to pay your bills, then you definitely need to look at the MacBook Pro. 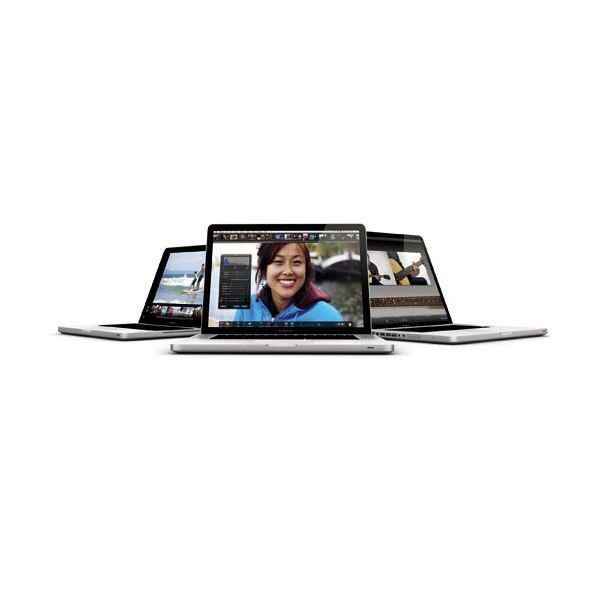 You can have a look at the respective MacBook Pro and MacBook guides that will help you make a better decision if you are looking for more details. If you’d like a step by step process to choosing which Mac would be the perfect fit for you, then you should head over to Apple’s Which Mac? page which will lay it all out for you.